Dave and Safari Mike are joined by their friend Kevin Crossman to discuss the future of Disney’s Animal Kingdom by looking back at the recent past of Disney’s California Adventure. They also discuss the news from DAK, and the rest of Walt Disney World, and Dave plays another round of "Guess that Price"! 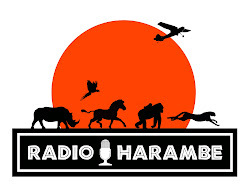 Please email any questions or comments you have to jamboeveryone@gmail.com, or tweet us @RadioHarambe. Thank you for listening and enjoy!